Raintech RH Booster 3-5 PUMP (1.5HP) - Rain Harvesting Supplies, Inc.
With an RH booster, complex operation and cryptic parameters are a thing of the past. The Grundfos CM 3-5 Pump combined with the PM2 Pressure Manager provides adjustable pressure settings. You are in control with regards to selecting the water pressure you prefer for pump start-up. 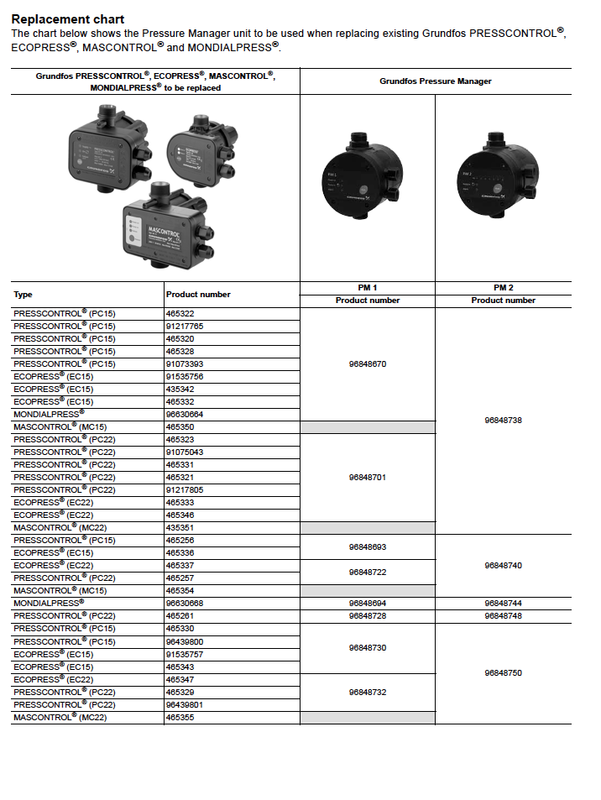 The Grundfos CM pump has been created with compactness, flexibility and reliability as its central features. This horizontal multistage close-coupled pump is a compact, reliable and quiet pump designed to work in a variety of applications. CM pumps are fitted with mains-operated motors. A Grundfos engineered mechanical shaft seal has been designed to eliminate industry-wide problems with shaft seals sticking where SIC-SIC seal faces are used. The solution builds on both the implementation of a rotation stop on the stationary ring and different surface finishing on both the stationary and rotating rings. The PM2 pressure manager is an intelligent controller for your pump that works in accordance with consumption in domestic water supply and booster systems. The PM2 is the all-round control solution, offering adjustable pump start from 0-90 PSI. This enables customization to different types of installation and desired comfort levels. The start pressure is set inside the unit, whereas current pressure is read on the intuitive LED display. 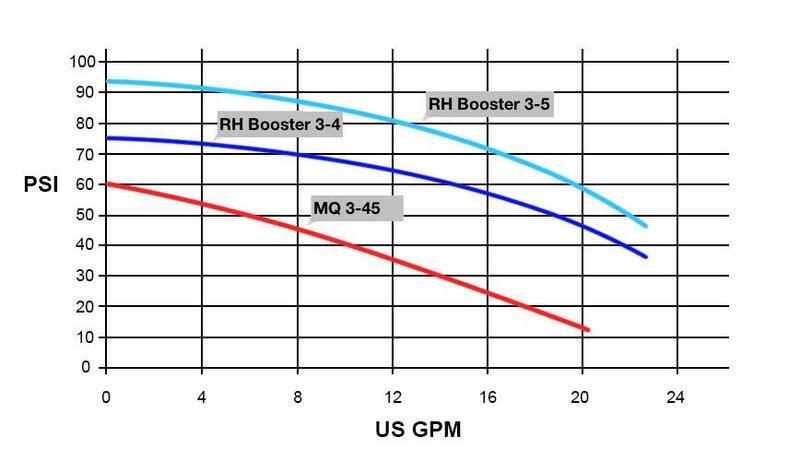 The PM2 starts the pump when the start pressure is reached and keeps running as long as there is flow. It is equipped with an internal pressure tank to minimize starts and stops in the event of leakage in the installation. In addition, the PM2 can be optimized for operation with a large external pressure tank by enabling the 15 PSI differential pressure function. This significantly reduces the number of operating hours of the pump in installations with a pressure tank. Click the button below to add the Raintech RH Booster 3-5 PUMP (1.5HP) to your wish list.